- Fashion Ecstasy on 十月 15, 2018. 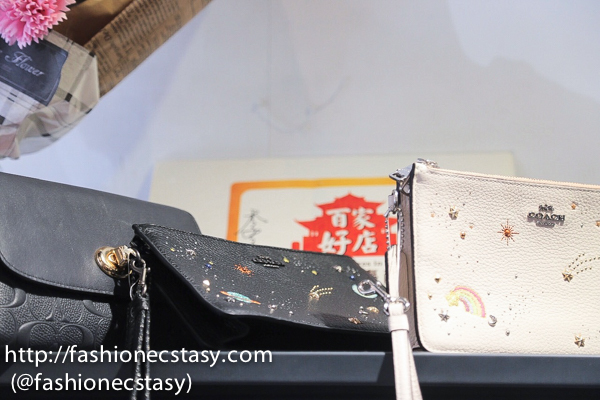 East 279 is an English friendly clothing/boutique store located on Datong Road in Tainan’s East District carrying many international renowned brands and products. We were proudly hired by the Tainan City Government for the second consecutive year to review this year’s English Friendly Shops, and East 279 made it to our top 5 of 2018! 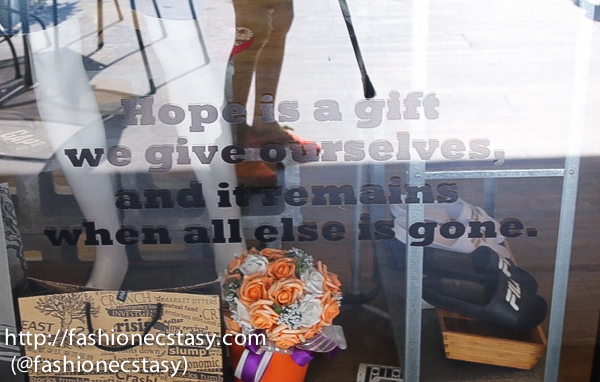 on the door upon entrance, and it reflects owner James’ motto and what he truly believes in. Owner James Ye is a 30-year-old young man with three daughters and a beautiful wife. With past working experience in Australia, he speaks fluent English and has no problem communicating in English. I was surprised by our conversation in English, which carried beyond just the basics: “How much are these?” or “What do you carry?” We went on and talked about life. “Making money abroad was not what I was looking for,” said James. James initially went to Australia to gain work experience and life in a foreign country. After working at an onion farm in Australia for two days, James realized that the bland and boring life wasn’t what he was looking for. He wanted more. Maybe it was God’s answer, after that during James’ work hiatus; he experienced a severe car accident that completely damaged his car. The car accident became a life-changing event that made James decide to reconnect with his homeland, Taiwan, and start a business. Armani Exchange, EA7 (Emporia Armani), Polo RL (Polo Ralph Lauren); and bags and accessories from MK (Michael Kors) and Coach, etc. However, these brands are not what interested me, but the collection of Minions, potato heads and other toys certainly caught my attention. “These are my personal collection, they are not for sale,” I see a sense of childlike heart and innocence when James tells me. James’ real passion isn’t fashion, but food/hospitality. However, he decided to open East 279 in September 2015 due to practical considerations. East 279 believes in honesty and refuses to do any false advertising to confuse its customers. Its quality products in a country infamous for our knock-offs quickly gained East 279 fans and success. However, the success of East 279 never stopped James from pursuing his dreams. Instead of remaining status quo, he recently went ahead and opened a new restaurant/bar just a few doors down East 279. Never stop improving yourself or pursuing your dreams.